Prince Edward II is said to be the inventor of cricket. There are many stories regarding the invention of cricket, but there is no one person who invented cricket. The origins of cricket lie somewhere in the Dark Ages; and almost certainly somewhere in Northern Europe. It is said to be derived from a very old pastime, where one player would throw a small piece of wood or a ball, and another player would hit it with a suitably fashioned club. However, the time and origin of this game is not definitely known. It is said that by Tudor times, cricket as a game had evolved and changed completely. It was well established in many parts of Kent, Sussex and Surrey. Cricket was invented in the vast fields of England, supposedly by shepherds who herded their flock. Later on this game was shown benevolence by aristocrats, and now has the stature of being England's national game. Cricket now stands in the international arena with a place of its own. 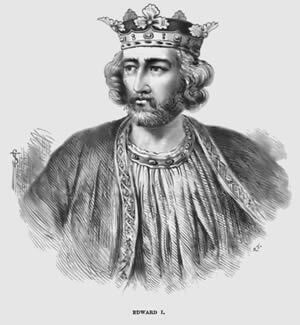 Also, it is popularly considered that Prince Edward II was the first person to play cricket in the year 1309. Hence, many people believe him to be the father of Cricket.